​Sydney, 21 September 2015 – CBRE has further strengthened its New South Wales Valuation & Advisory Services platform with the announcement of three new recruits. Adam Fulton, Anthony Pulvirenti and Mia Walker have all joined CBRE from prior roles at Colliers International. CBRE NSW Sate Director, Valuation & Advisory Services, Michael Pisano said the appointments were part of the firm’s strategy to attract the market’s leading professionals in order to provide a superior service offering for clients. “We are delighted to have secured professionals of Adam, Anthony and Mia’s calibre as we continue to enhance the depth and breadth of our services across office, industrial and retail valuations in NSW,” Mr Pisano said. Mr Fulton and Mr Pulvirenti will be based in CBRE’s Western Sydney office, with responsibility for office and industrial valuations in both Western Sydney and South Sydney. Mr Fulton has over 16 years of valuations experience and was most recently Colliers National Director – Industrial Valuation & Advisory. He has re-joined CBRE as a Senior Director, having previously worked for the firm between 2008 and 2012, based in South Sydney. Mr Pulvirenti has over 10 years’ valuations experience, specialising in institutional grade industrial and commercial properties across Western Sydney. He has joined CBRE as an Associate Director. 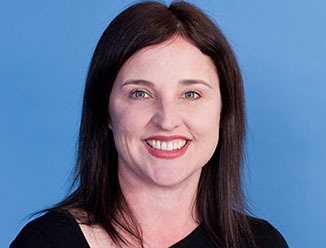 Ms Walker has meanwhile joined as a valuer in CBRE’s NSW Retail team. In her new role, Ms Walker will have a strong focus on shopping centre, CBD retail and bulky goods assets in NSW and the ACT, working closely with CBRE’s Director of Retail Valuations, Paul Satara.